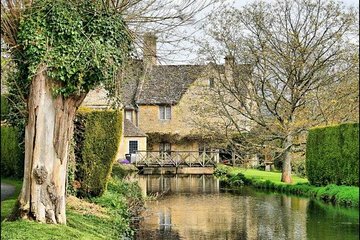 Ideal for travelers looking to escape the city, this tour takes you to the quaint villages of the Cotswolds, an ‘Area of Outstanding Natural Beauty’ characterized by rural landscapes and limestone houses. Departing London on a private vehicle equipped with Wi-Fi, you’ll stroll around the villages of Burford, Stow-on-the-Wold, Bourton-on-the-Water, Lower Slaughter, and Yanworth. Snacks and hotel pickup and drop-off are included. lunch was nice and prices very reasonable. This was a great day if you want to be immersed in the Cotswold. My driver was punctual, knowledgeable, and fun to be with. As I went solo, I was able to ask so much about the different villages and go so many places. What would have seemed to be a long day just flew by. It's a great trip if you want to escape city life. Beautiful countryside and villages.